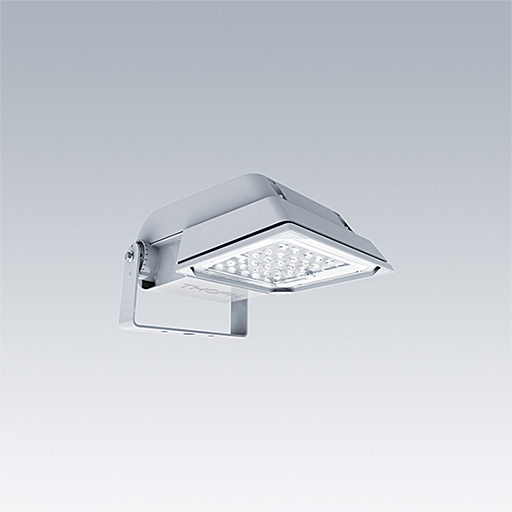 A compact, lightweight, general purpose LED area floodlight. With small body. driving 36 LEDs at 500mA with asymmetrical 40° light distribution. IP66, IK08, Class I electrical. Body: die-cast aluminium, Light grey 150 sanded textured (close to RAL9006).. Enclosure: 4mm thick toughened glass. Reversable mounting stirrup supplied, optional spigot adaptors available separately for post top mounting. Complete with 4000K LED.